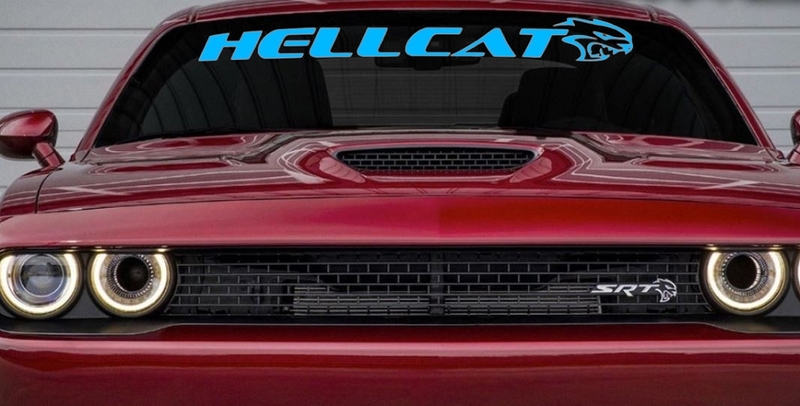 Choose the color and logo for these Windshield Decals to decorate your Dodge Challenger's windshield. Each individual decal is cut to fit for precise lines and carefully designed to fit your car and is made of computer die-cut exterior vinyl. This high-quality decal will last you up to seven years. They're easy to install on any surface that's been cleaned ahead of time. Instructions are included for a hassle-free installation. This is also proudly made right here in the USA. Please use the drop-down menu above to make your logo / color selections.